Reliable Cloud Hosting designed for websites that need more power in a secure hosting environment. Our Cloud Hosting Servers use Raid-10 technology which means your website will be hosted on multiple hard drives for the highest level of performance and redundancy. We use IBM storage area networks which are designed to load content faster than a typical hard drive as multiple drives host and load your content. Bandwidth is the amount of data that you are able to transfer between your website account and the visitors of your website. The Cloud 25 plans comes with 100GB of bandwidth and the Cloud 50 and Cloud 100 plans include unlimited bandwidth. We have 3 bandwidth carriers for our Cloud Hosting customers using a CDN service to provide your visitors with faster load times and a better overall experience. 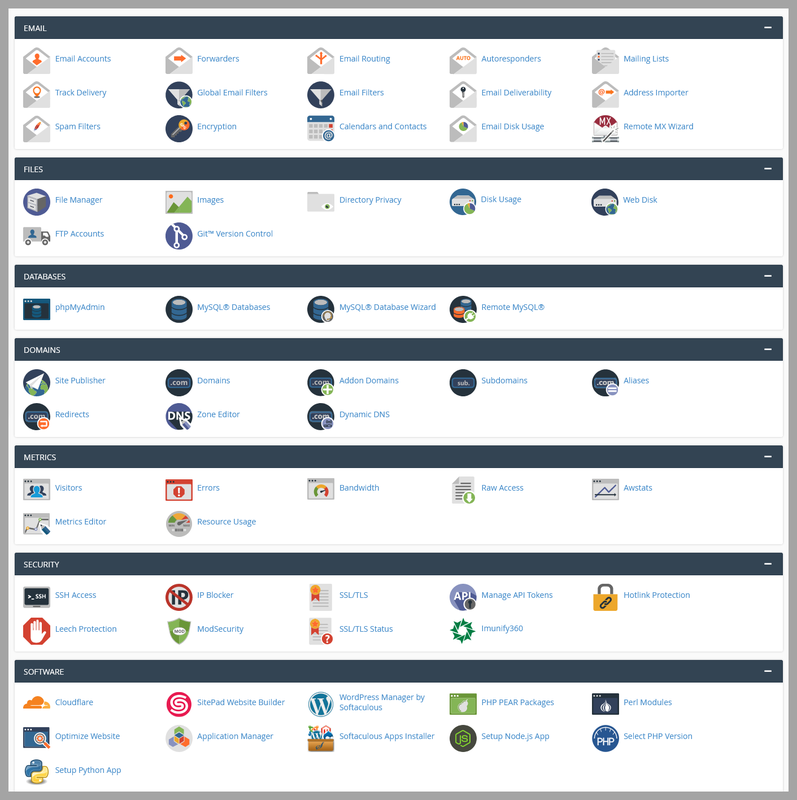 You can create MySQL databases easily through your cPanel control panel. The Cloud 25 plan allows you to create 5 databases while the Cloud 50 and Cloud 100 plan include unlimited databases. You can also manage your databases through PHPMyAdmin also found inside your cPanel. You can host multiple domains on a single account. You can also point your domains to specific locations or park your domains on a single website. Our Cloud 25 plans allows you to create 2 Addon Domains while the Cloud 50 and Cloud 100 plan allow unlimited Addon domains. Fully Managed Powerful Cloud Hosting Made Simple. We'll register a new domain name or transfer your domain free of charge with all cloud plans. Whether you're upgrading or switching to us we'll move your entire website to your new cloud plan free of charge. We use the latest cloud hosting and CloudLinux technology to ensure your site is fast and running optimally. We've partnered with CloudFlare to provide our customers with free access to their global content delivery network giving you added security and performance. Nothing is out-sourced at HostUpon We're here to help you every step of the way. All cloud hosting plans come with cPanel, the leading web hosting control panel. All cloud plans include cPanel for free! You can upload & manage your website, view stats, create email addresses and forwarders, install WordPress, create databases and tons more with just a few clicks. Cloud Hosting is based on CloudLinux technology which allows us to give you more CPU, memory and disk I/O than a shared hosting plan. Cloud Hosting simply means that instead of being hosted on 1 server your website loads from multiple servers. Unlike shared hosting, your website, database and email are all hosted on separate hardware so if one cloud server fails nothing goes down giving you full redundancy and higher performance. All Cloud Hosting plans include Softaculous which is a 1-click installer for over 360 open-source scripts. Popular scripts include WordPress, Joomla, OpenCart, PrestaShop, Drupal and tons more! Can I upgrade between Cloud Hosting plans? Yes, you can switch between Cloud Hosting plans at any time and our prices are pro-rated meaning you simply pay the difference of the new plan. Upgrades are instant between cloud hosting plans and there is no downtime. "Our website was featured on a popular social platform and HostUpon's cloud servers handled the load with no issues. They helped us get setup for our viral launch and I can't tell you how happy we are we chose to host with them. They took the time to explain our options and what to expect, everything worked out perfectly!" James R., Entrepreneur - San Francisco, U.S. Speed Up Your Website With Our Cloud Hosting Today!